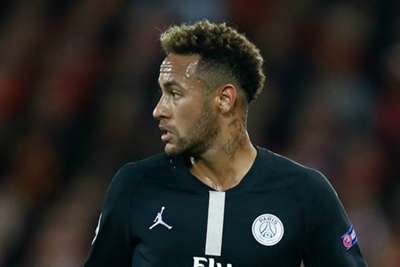 Focusing on Neymar at the expense of his team-mates is a bad thing, according to Paris Saint-Germain's assistant sporting director Maxwell. Neymar has helped PSG to win all 10 of their opening fixtures in Ligue 1 with Thomas Tuchel's side on track for another season of domestic dominance. But off the pitch speculation has continued to build surrounding Neymar's future, with Real Madrid and Barcelona both reportedly interested in signing the Brazil star. Maxwell, though, feels PSG's other players deserve a share of Neymar's spotlight. "I think focusing on one player, talking about one player, is a very bad thing in football," Maxwell said to Omnisport, speaking as part of the Nissan UEFA Champions League trophy tour in Paris. "The team is performing well, there are many good things to say about the squad, the coach, the management. Focusing on one player is something you don't have to do. "I don't like it. I think there are many positive things we can talk about. We always focus on negative things that are not necessary." Barcelona, meanwhile, have again refuted suggestions Neymar could return to the club. The forward visited the Spanish city at the weekend, linking up with Barca midfielder and Brazil team-mate Arthur to fuel more speculation. "Neymar left and he won't come back," club president Josep Maria Bartomeu said to Catalunya Radio. "There's no plan for his return. "I've not had any calls from Neymar's entourage, nor any meetings. He decided his own future, he paid his release clause and went to PSG. "We didn't like his exit. When a player comes to Barca, it's because everyone wants it. It's not my decision, it's everyone's." Barca boss Ernesto Valverde has described resigning Neymar as "unlikely", but left the door open by noting: "Anything can happen in football."